Lynch auctioneers is currently offering this excellently located three bedroom end of terrace house, situated on a corner site, with well maintained gardens surrounding. The property is situated in a cul-de-sac, in an established area, close to the NUI Galway and University Hospital Galway. The area is well serviced with public transport and Galway city and all amenities are within easy reach. No 36 John Coogan Park consists of a kitchen/diner and sitting room at ground floor level and three bedrooms and bathroom at first floor level. There are well maintained front and rear gardens and the rear garden has the advantage of not being overlooked. 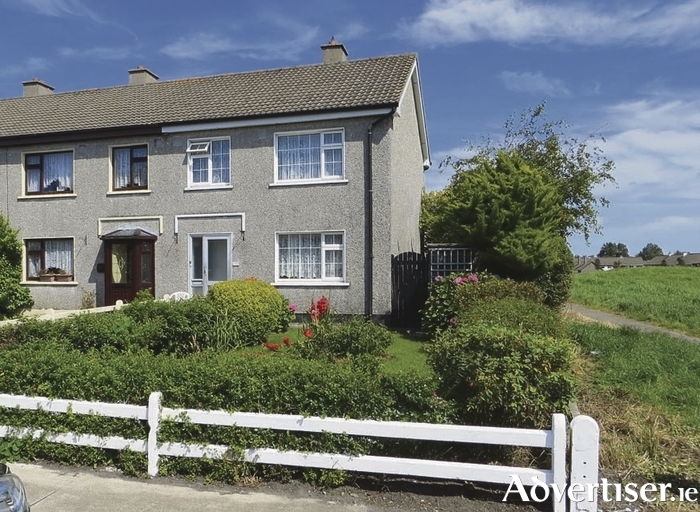 Due to the quality of the location of this end terrace home, it would suit both owner occupiers or investors due to its close proximity to Galway city, NUIG, and UHG. Additional features in this home are oil fired central heating, range in kitchen, off street parking, corner site location, and attractive mature gardens. This property is going for sale by public auction on Wednesday September 28 at 3pm in the Imperial Hotel, Eyre Square, Galway. Solicitor with carriage of sale is Mary Mylotte solicitor, MacDermott & Allen solicitors, 10 St Francis Street, Galway. The BER is E1. AMV is €160,000. For details or viewing of this home contact Lynch auctioneers on 091 566157 or Shane Cox on 087 9830450. Page generated in 0.1031 seconds.